In this free tutorial guide, you will learn the process to set up an FTP server on Windows 10 PC. This mechanism helps to share heavy data files without any barrier. However, it is a completely technical process but you would be able to implement FTP via the assistance of this one helpful guide. In the corporate environment, it is a primary need to share necessary documents without any restrictions among targeted groups, team members, and sub-departments. After the implementation of this service, you can easily gain control to transfer files by using the private or a public network. If you are using a fast ISP then it doesn’t enforce any limit on size and data type for storage. It is a free solution because it is an integral part of Windows 10 system. So, you don’t need to avail any paid services. Then, Select Programs and Features. Now, you Click the link ‘Turn Windows features on or off’. Then, Check on Web Management Tools with ‘default selections’ mode. Finally, Click OK to begin the installation. Click on Close to complete the process. Now, we hope that you have completed Step 1 successfully to install the necessary components of an FTP server on your Windows 10 PC. Go through the Power User menu (Windows key + X keyboard shortcut) and select Control Panel. Check Internet Information Services (IIS) Manager. Then Select ‘Add FTP Site’. Then, Enter the Name of the new FTP site and the required path of targeted FTP folder. This path is linked to the location where end users are interested in sending and receiving files. By using the Make New Folder button, you can make user specified folder location to store your FTP files. In Binding and SSL Settings, you can leave all the default settings as well as flexibility to set the status of SSL option is ‘No SSL’. Note: As per network experts, we can’t make a secure environment for data safety without accepting the authentic SLL connection. 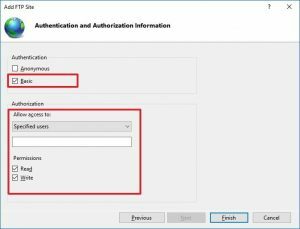 Check along Basic option in Authentication section. In the Authorization section, use the drop-down menu to select Specified users. To gain access to the FTP server, Enter the email address of Windows 10 account or local account name. Then, Check along Read and Write options. 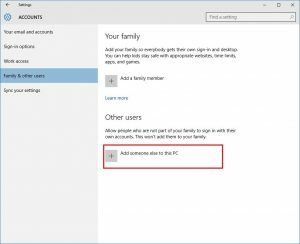 If Firewall is active on your Windows 10 PC, then it will create a restriction with access of FTP server. 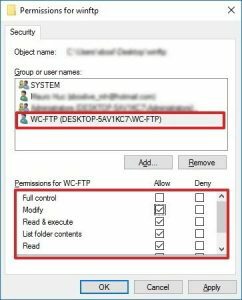 So, this step is mandatory to avoid any kind of clash between FTP server and Windows 10. Open Start menu and search for Windows Firewall. Then, Press Enter on Application. Click on the link ‘Allow an app or feature through Windows Firewall’. Then, click on the button i.e. ‘Changes Settings’. In this step, select the FTP Server with permission on a Private and Public network. In this step, you can also use your favorite FTP client to connect the newly created FTP server from the tlocal network. In case, you are not using Windows Firewall then your security software vendor should be compatible with a website for necessary instructions to allow access to an FTP server. To access the FTP server from the internet, it becomes necessary to configure your router from TCP/IP port number – 21. But, it is varying from router-to-router as well as depends on the router’s manufacturer support website. Then, select the Command Prompt. Write the command: ipconfig and press Enter. 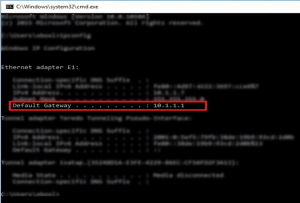 Note down the Default Gateway IP Address. It is basically the IP address of your router. In the address bar, Type the router’s IP address and press Enter. Service name: Put as per need. For example, FTP-Server. Port range: Choose port 21. PC’s TCP/IP address: In Command Prompt, type ipconfig, and the IPv4 address is your Windows PC’s TCP/IP address. Local TCP/IP port: Use 21. Now, click on the ‘Apply’ to make the new changes permanent and save the new router configurations. It is necessary to test the FTP server, after configuring the firewall and forwarding port 21 on your router. You should use Internet Explorer because Microsoft Edge hasn’t supported the functionality to browse FTP sites. Apart from IE, You can also use Chrome, Firefox, or latest web browser. To get FTP link through tinternet, type the public address in the “Address Bar” of the browser. Type public IP Address on the address bar & press ‘Enter’ Key. FTP login appears then Enter username and password. Now, you would be able to browse, download, and upload files as if FTP server is connected properly to PC as another connected device. To re-connect FTP server, you need to apply right-click on Quick Access in the left pane then select Pin current folder to Quick Access. Note: File Explorer is not the only single way because you can use any FTP client (File Zilla open source software) to transfer files over a local or public network. Sometimes, we need multiple accounts on the FTP server to make our ongoing task easier. So, it becomes urgent to set specific permissions corresponding active accounts to download & upload files. Open the Settings app through Windows key + I. Now, Click on ‘Family & other users’. Click on ‘Add someone else to this PC’. Click the link ‘I don’t have this person’s sign-in information’. Then, Click on the link ‘Add a user without a Microsoft account’. Type the new user account details and then click Next to complete the task. Note: To make this account secure, you need to set a strong password. Right-click on the FTP folder and then select Properties. Then Click Edit to change permission. Type the user account name then click Check Name. In ‘Group or user names’ section, select the user account that has been just created, and set the appropriate permissions. Double-click on ‘Internet Information Services (IIS) Manager’. 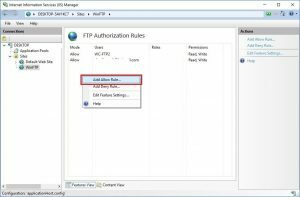 Choose the FTP site and double-click on Authorization Rules. Now, the new user is able to connect to the FTP server with their self-created credentials. To add other users with FTP server, repeat the steps mentioned above accordingly. This facility is available for Windows 10 Pro and Home users. This tutorial is also providing a competitive edge over third-party software. So, you don’t need to pay a single amount for additional resources. Another thing, you shouldn’t keep PC into Sleep or Hibernation mode to make FTP server access completely barrier-free. What is the full form for FTP? I’m looking to backup my desktop computer with a 1 TB hard drive onto the cloud. Can I use an FTP server to do the job efficiently and safely? Yes, you can definitely use an FTP to upload your data online quickly. Windows Firewall seems to be restricting the setup of my FTP server. How do I get around this problem? 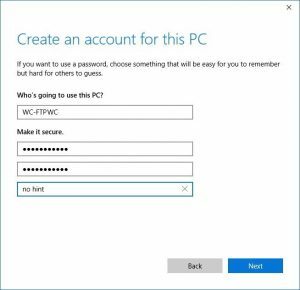 If Firewall is active on your Windows 10 PC, then it will create a restriction with access of FTP server. 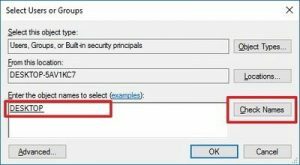 You do not have to deactivate Windows Firewall altogether; just change some setting around as detailed below! 1. Open Start menu and search for Windows Firewall. 2. Then, Press Enter on Application. 3. Click on the link ‘Allow an app or feature through Windows Firewall’. 4. Then, click on the button i.e. ‘Changes Settings’. 5. In this step, select the FTP Server with permission on a Private and Public network. You will now be able to access the FTP server.